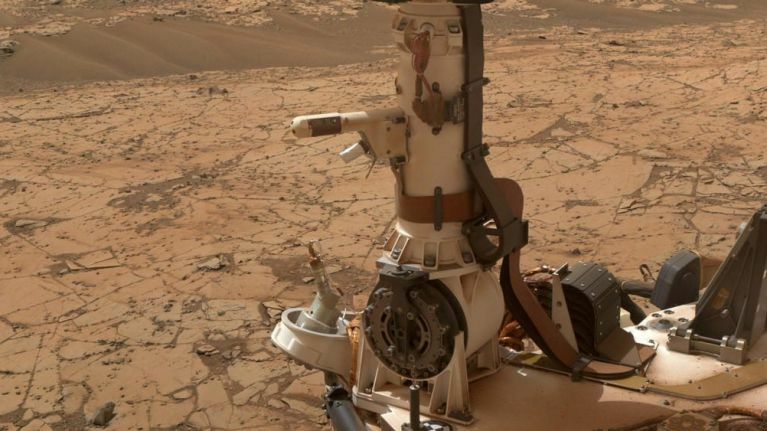 NASA has shared an amazing 360-degree photo taken by the Curiosity Rover on Mars. The rover has been on the red planet for six years, and the image shows a thin layer of crimson dust on the vehicle. The image was taken on 8 August when, after collecting a new rock sample on Vera Rubin Ridge, the rover celebrated by taking a quick snap on its surroundings. 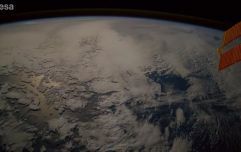 The image shows umber skies, darkened by a fading global dust storm. NASA also uploaded an interactive version on YouTube, giving a small glimpse of what it would be like to be stood on the surface on Mars. The successful collection of rock samples was a particular achievement for the Curiosity Team, as their last two attempts to do so were scuppered by the drill hitting hard rock. Even NASA team members were impressed by the variety in colour and texture in the region. "The ridge isn't this monolithic thing -- it has two distinct sections, each of which has a variety of colors," said Ashwin Vasavada, Curiosity's project scientist at NASA's Jet Propulsion Laboratory in Pasadena, California. "Some are visible to the eye and even more show up when we look in near-infrared, just beyond what our eyes can see. Some seem related to how hard the rocks are." The Curosity rover was launched from Cape Canaveral on 26 November, 2011, and landed in the Aeolis Palus plain near Aeolis Mons in Gale Crater in August of the following year. Its role is to investigate the planets' climate and geology - and in particular, find out if the Gale Crater ever had the right conditions to sustain life. It is also studying the environment in preparation for potential future manned missions to Mars. In December 2012, the rover's two-year mission was extended indefinitely. It is not the only NASA rover on the planet - the Opportunity is on the other side of Mars, doing similar investigations.